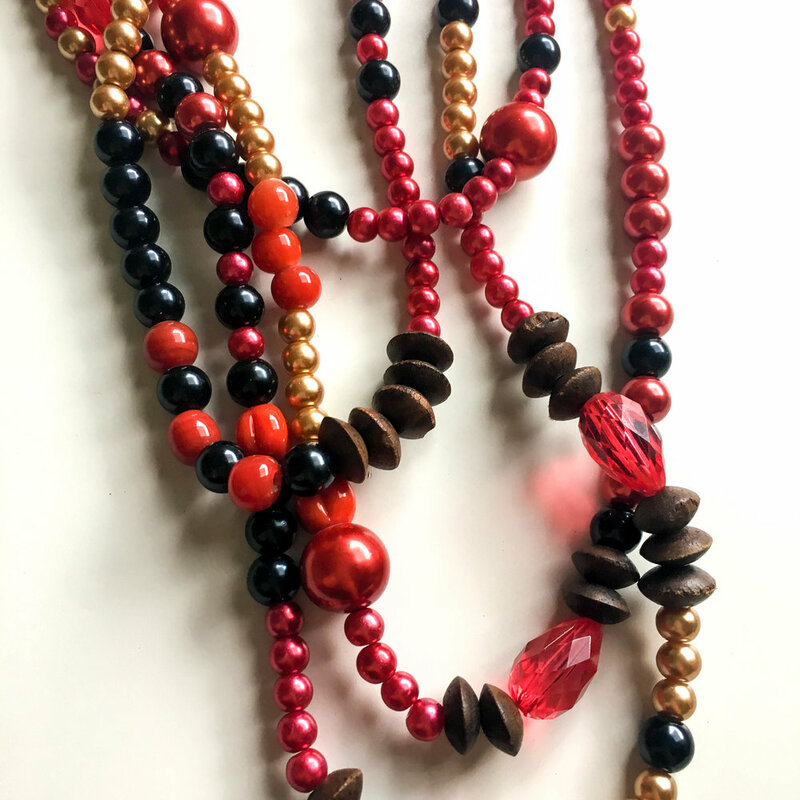 Long layered necklace features red, back and gold beads creating abstract patterns and adding texture. This piece is great for adding colour to any outfit. It also has several wood beads to give it an earthy vibe.